William Sweeny-1 was born in 1818 in Milford, Kent, Delaware[1, 2]. He died on 09 Jul 1873 in Pennsylvania, USA. His father came from Ireland in the time of the Irish rebellion in 1798. He was a Catholic, but Catharine Roe was Protestant and raised their children as Protestant. Catharine Ann Roe daughter of Samuel Roe and Elizabeth Tribet was born in 1822 in Pennsylvania, USA. She died on 20 Dec 1904 at the St. James Episcopal Church in Darby, Delaware, Pennsylvania. Charles Roe Sweeny Sr.[5, 6, 7, 8, 9, 10, 11] was born on 10 Mar 1842 in Darby, Pennsylvania[5, 6, 7, 8, 9]. He married Sara Ann Blizzard on 09 Jul 1865 in Chester, Delaware, Pennsylvania. He died on 19 Jan 1934 in Chester, Pennsylvania. Ellen E. Sweeny was born in 1847 in Pennsylvania, USA. Samuel R. Sweeny was born in Sep 1849 in Pennsylvania, USA. He died in 1936 in Hagerstown, Washington, Maryland. John Rowan Sweeney was born in 1855 in Pennsylvania, USA. Harry Sweeny was born in 1858 in Pennsylvania, USA. He died on 13 Mar 1936 in Chester, Delaware, Pennsylvania, USA. John Rowan Sweeney-2 (William-1) was born in 1855 in Pennsylvania, USA. Harriet was born in 1855. Bessie M. Sweeny was born in 1879. Lillie Sweeny was born in 1882. William Sweeny was born in 1886. Ethel Sweeny was born in 1889. John Rowan Sweeney was born on 03 Jun 1891 in Chester, Delaware, Pennsylvania. Herbert Tunnicliffe Sweeney was born on 22 Mar 1897. Charles Roe Sweeny Sr.-2 (William-1)[5, 6, 7, 8, 9, 10, 11] was born on 10 Mar 1842 in Darby, Pennsylvania[5, 6, 7, 8, 9]. He died on 19 Jan 1934 in Chester, Pennsylvania. Sara Ann Blizzard daughter of William Henry Blizzard and Margaretta Fisher was born on 09 Apr 1847 in Chester, Pennsylvania. She died on 22 Jun 1935 in Chester, Pennsylvania. Baptized at Chester Methodist Episcopal Church by Rev. Newton Heston. 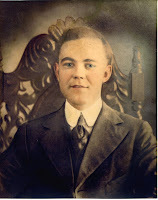 Charles Roe Sweeny Jr.[15, 16, 17, 18, 19] was born on 03 May 1866 in Darby, Pennsylvania[15, 16, 17, 18]. He married Sarah Holcroft Scott on 26 Jun 1889 in Pennsylvania, USA. He died on 16 May 1939 in Chester, Pennsylvania. William Blizzard Sweeny was born on 19 Dec 1867 in Chester, Delaware, Pennsylvania. He married Katherine May Ramsey on 15 Sep 1888 in Camden, New Jersey. He died on 15 Feb 1961 in Chester, Delaware, Pennsylvania. John Franklin Sweeny was born on 07 Apr 1872 in Pennsylvania, USA. He married Claire Mollyneux on 05 Jan 1895. He died on 04 Jul 1946 in Florida. Harry Sweeny-2 (William-1) was born in 1858 in Pennsylvania, USA. He died on 13 Mar 1936 in Chester, Delaware, Pennsylvania, USA. Jennie Mitchell Parks daughter of Robert Parks and Anges Dickson was born in Jan 1863. She died in 1928. Ella B. Sweeny was born in 1884. Agnes Park Sweeny was born on 29 Jul 1888 in Chester, Pennsylvania, USA. She died on 18 Oct 1978 in Pennsylvania, USA. Harry Sweeney was born in Jun 1897. He died on 31 Jul 1951 in Yeadon, Delaware, Pennsylvania. Ellen E. Sweeny-2 (William-1) was born in 1847 in Pennsylvania, USA. Charles Sweeny Beck was born in 1863. Terrell Williams and Ellen E. Sweeny married.They had no children. Samuel R. Sweeny-2 (William-1) was born in Sep 1849 in Pennsylvania, USA. He died in 1936 in Hagerstown, Washington, Maryland. Eliza Ward daughter of Mary Ward was born in May 1851. She died in 1936. Ella Sweeny was born in Nov 1874. She died in 1940. John Rowan Sweeney-3 (John Rowan-2, William-1) was born on 03 Jun 1891 in Chester, Delaware, Pennsylvania. John Rowan Sweeney was born in 1922 in Pennsylvania, USA. Joseph Sweeney was born in 1926 in Pennsylvania, USA. Frank B. Sweeney was born on 15 Aug 1933 in Pennsylvania, USA. Herbert Tunnicliffe Sweeney-3 (John Rowan-2, William-1) was born on 22 Mar 1897. Cecelia Sweeney was born in 1906. Geraldine C. Sweeney was born in 1926. Herbert Tunnicliffe Sweeney was born in 1927. William Blizzard Sweeny-3 (Charles Roe-2, William-1) was born on 19 Dec 1867 in Chester, Delaware, Pennsylvania. He died on 15 Feb 1961 in Chester, Delaware, Pennsylvania. Katherine May Ramsey daughter of William Burnside Ramsey and Cathern Elizabeth Johnson was born on 27 Jun 1868 in Roxborough, Pennsylvania. She died on 08 Mar 1945 in Chester, Delaware, Pennsylvania. William Blizzard Sweeny was born on 19 Jan 1890 in Chester, Delaware, Pennsylvania. He married Mary Jane Watkins on 14 Jan 1912 in Wilmington, Delaware. He died on 28 Apr 1939 in Chester, Pennsylvania. Florence Ramsey Sweeny was born on 20 Apr 1892 in Chester, Delaware, Pennsylvania. She married William Elmer Johnson on 02 Oct 1912. John Franklin Sweeny was born on 15 Nov 1893 in Eddystone, Delaware, Pennsylvania. He died on 07 Jan 1979. Thomas Burton Sweeny was born on 30 Oct 1895 in Eddystone, Delaware, Pennsylvania. He married Elsie Irwin Caldwell on 12 Aug 1919 in Harrington, Kent, Delaware. He died on 27 Apr 1991 in Hockessin, Delaware. Katherine May Sweeny was born on 30 Jun 1897 in Eddystone, PA. She died on 16 Jan 1976. Margaret Fisher Sweeny was born on 22 Mar 1898 in Crum Lynne, Pennsylvania. She died on 17 Sep 1992. Robert Henry Sweeny was born on 08 Feb 1901 in Paulsboro, New Jersey. Harry Roe Sweeny was born on 02 Aug 1903 in Paulsboro, New Jersey. Charles Roe Sweeny was born on 05 Feb 1906 in Wilmington, Delaware. Samuel Roe Sweeny was born on 02 Apr 1908 in Wilmington, Delaware. He died on 19 Jun 1978. Sallie Elizabeth Sweeny was born on 22 Jul 1910 in Wilmington, Delaware. She died on 11 May 1960. John Franklin Sweeny-3 (Charles Roe-2, William-1) was born on 07 Apr 1872 in Pennsylvania, USA. He died on 04 Jul 1946 in Florida. Claire Mollyneux was born on 06 Feb 1874. She died on 15 Mar 1959. Myrtle Sweeny was born on 09 Jun 1895. He died on 10 Feb 1970 in Gardena, Los Angeles, California. Charles Roe Sweeny Jr.-3 (Charles Roe-2, William-1)[15, 16, 17, 18, 19] was born on 03 May 1866 in Darby, Pennsylvania[15, 16, 17, 18]. He died on 16 May 1939 in Chester, Pennsylvania. Sarah Holcroft Scott daughter of Robert Scott and Deborah A. Scott[34, 35] was born on 01 Oct 1867 in Pennsylvania, USA. She died in 1924 in Chester, Delaware, Pennsylvania, USA. Sallie B. Sweeny was born on 13 Mar 1890 in Chester, Delaware, Pennsylvania, USA. She died in Nov 1978 in Delaware, USA. Charles Roe Sweeny III[36, 37] was born on 27 Aug 1892 in Chester, Pennsylvania[36, 37]. He married Ella May Bouchelle on 27 Jun 1917 in Pennsylvania, USA. He died on 08 Apr 1944 in Philadelphia, Pennsylvania. Elsie M. Sweeny was born in Nov 1898 in Pennsylvania, USA. Lillian W. Sweeny was born on 03 Sep 1901 in Chester, Delaware, Pennsylvania, USA. Emma Reba Sweeny was born in 1905 in Pennsylvania, USA. Harry Sweeny was born on 04 Mar 1895 in Chester, Delaware, Pennsylvania. Harry Sweeney-3 (Harry-2, William-1) was born in Jun 1897. He died on 31 Jul 1951 in Yeadon, Delaware, Pennsylvania. Margaret Leonard was born in 1897. She died in 1978. Eileen Sweeney was born on 02 Jul 1930 in Chester, Pennsylvania, USA. She died on 28 Aug 2006 in Downingtown, Chester, Pennsylvania. Joan Sweeney was born in 1937 in Pennsylvania, USA. She died in 2001. Leonard Joseph Sweeney was born on 15 Jan 1926 in Philadelphia, Pennsylvania. He died on 08 Oct 2008 in Morton, Delaware, Pennsylvania. Frank B. Sweeney-4 (John Rowan-3, John Rowan-2, William-1) was born on 15 Aug 1933 in Pennsylvania, USA. Phyllis A. Meyers was born in 1935. She died in 2009 in West Chester, Delaware, Pennsylvania, USA. Thomas Burton Sweeny-4 (William Blizzard-3, Charles Roe-2, William-1) was born on 30 Oct 1895 in Eddystone, Delaware, Pennsylvania. He died on 27 Apr 1991 in Hockessin, Delaware. Thomas B. Sweeny Sr., 95, formerly of 2953 Wrangle Hill Road, Bear, died Saturday in Epispocal Church Home, Hockessin, Where he lived for the past two years. Mr Sweeny was a pipefitter and lead burner at DuPont Co., Edgemoor, retiring in 1960 after 30 years. He was an Army veteran of World War I. A mason, he was past master of washington Lodge 1, AF&AM, Wilmington, and a member of Gunning bedford Commandery Council 1. He was a member of St. John's Chapter, Order of the Eastern Star. He was also a member of Wawa Tribe 45, Improved order Red Men. His wife Elsie I., died in 1976. He is survived by a son, Thomas B. Jr. of Brookside Park; five daughters, Elsie I. Burris, with whom he had lived, Josephine M, Garrett of Millington, MD., Florence E. Calloway of New Castle, Frances E. Nowakowski of Bear and Vada L. Lockerman of Hockessin; a brother, Charles of St. Petersburg, Fla.; a sister, Margaret Whisler of Wilmington; 27 grandchildren, 43 great-grandchildren and three great-great-grandchildren. Services wil be at 11 A.M. Wednesday in McCreary Memorial Chapel, Kirkwood Highway and Duncan Road, where friends may call after 7 P.M. Tuesday, and where Masonic and Eastern Star services will conducted. Burial will be in Lawn Croft Cemetery, Linwood, Pa.
Elsie Irwin Caldwell was born on 22 Sep 1901 in Felton, Kent, Delaware. She died on 17 Feb 1976 in Delaware Hospital, Memorial Division. Evening Journal: Wednesday February 18, 1976. Elsie I. Sweeny, 75, 3 Allendale Drive, Ogletown died yesterday at the Memorial Division after a long Illness. She is survived by her husband, Thomas B,; a son, Thomas B. Jr of Newark; six daughters; Elsie I Burris of Christiana; Josephine Garrett of Millington, MD; June Russell of Kokomo, Ind; Florence Calloway of New Castle; Frances Nowakowski of Christiana; and Vada Lockerman of Newark; a brother, Paul Caldwell of Newark; four sisters; Virginia Webber of New Castle; Edna Morris of Harrington; Lillian Hearn of Wilmington; and Josephine Herrington of Houston; 27 grandchildren and 23 great-grandchildren. Services will be Friday morning at 11 from the McCreary memorial Funeral Home, 3924 Concord Pike, Talleyville, where friends may call tomorrow evening. Interment will be in Lawncroft Cemetery. Lillian June Sweeny was born on 29 Sep 1926 in Wilmington, Delaware. She died on 16 Mar 1984. Virginia Ann Sweeny was born on 02 Jun 1934 in Wilmington, DE. She died on 21 Aug 1936 in Lawn Croft Cemetery, Anolene Village. Thomas Burton Sweeny was born on 15 Mar 1922 in Milford, Kent, Delaware. He married Myrtle Edith King on 18 May 1949 in Eloped. Elsie Irene Sweeny was born on 04 Oct 1920 in Wilmington, Delaware. Josephine May Sweeny was born on 26 Jan 1924 in Wilmington, Delaware. Florence Elaine Sweeny was born on 29 Apr 1928 in Wilmington, Delaware. She died on 21 Oct 2008 in Middletown, New Castle, Delaware, USA. Age 80, of Middletown, DE died Tuesday at the Broadmeadow Nursing Home. She was a member of the Order of the Eastern Star, St. John's Chapter #4 for 46 years and was a current member of the Order of the Eastern Star, Namoi Chapter # 11. Florence was married to William C. Calloway Sr. for over 52 years until his death in 1998. She was predeceased by her grandson, Steven Beckley who died in 1993. She is survived by her sons, William C. Calloway Jr., with whom she lived and Arthur J. Calloway of Middletown and his wife Candace; daughters, Ellen Mucha and her husband Edward of Lewis, Beverly J. Beckley and her husband James of New Castle; her sisters, Irene Burris of Georgia, Josephine Garrett of Maryland, Francis Nowakowski of Bear and Vada Lockerman of Hockessin and her brother, Thomas Sweeny of Newark. Also surviving are 5 grandchildren and 12 great grandchildren. A viewing will be held on Sunday, October 26 from 6-8 pm with an Order of the Eastern Star service at 7 pm in the McCrery Memorial Chapel, 3710 Kirkwood Highway at Duncan Rd. The funeral service will be held at the funeral home on Monday, October 27 at 11 am where friends may call after 10 am. Burial will follow in Gracelawn Memorial Park, DuPont Highway, Wilmington. Frances Elizabeth Sweeny was born on 20 Apr 1930 in Wilmington, Delaware. She married Tedewsz Nowokowski on 22 Nov 1961. Vada Louise Sweeny was born on 02 Nov 1932 in Wilmington, Delaware. Virginia Ann Sweeny was born on 02 Jan 1934 in Wilmington, Delaware. She died on 21 Aug 1936 in Wilmington, Delaware. William Blizzard Sweeny-4 (William Blizzard-3, Charles Roe-2, William-1) was born on 19 Jan 1890 in Chester, Delaware, Pennsylvania. He died on 28 Apr 1939 in Chester, Pennsylvania. Mary Jane Watkins daughter of Albert Fairfield Watkins and Amelia Carson was born on 10 Jul 1892 in Philadelphia, Pennsylvania. She died on 29 May 1957. Alice May Sweeny was born on 21 Sep 1912 in Wilmington, Delaware. She married John Vincent Baxter on 07 Sep 1928. William Blizzard Sweeny was born on 08 Jul 1914 in Wilmington, Delaware. He died on 18 Apr 1998. Mary Jane Sweeny was born on 22 Nov 1917 in Wilmington, Delaware. She married Daniel Joseph Hodgeson on 30 Aug 1939. Albert Fairfield Sweeny was born on 14 Oct 1920 in Delaware. He died in Sep 1981. Elizabeth Sweeny was born on 14 Jul 1922 in Delaware. She married Wade Newman in Sep 1946. Charles Roe Sweeny was born on 29 Oct 1925 in Darby, Delaware, Pennsylvania. He married Barbara McCormick in Nov 1956. He died in Nov 1981. Ruth Naomi Sweeny was born in Feb 1927 in Darby, Delaware, Pennsylvania. She died in Feb 1927 in Darby, Delaware, Pennsylvania. Sallie Elizabeth Sweeny-4 (William Blizzard-3, Charles Roe-2, William-1) was born on 22 Jul 1910 in Wilmington, Delaware. She died on 11 May 1960. Walter Grove son of Ernest J. Grove was born on 07 Apr 1911. Lois Jean Grove was born on 01 Feb 1939 in Wilmington, Delaware. Harry Roe Sweeny-4 (William Blizzard-3, Charles Roe-2, William-1) was born on 02 Aug 1903 in Paulsboro, New Jersey. Catherine Elizabeth Green was born on 29 Apr 1908 in Newark, New Castle, Delaware. Catherine Elizabeth Sweeny was born on 07 Jul 1927 in Newark, New Castle, Delaware. Harry Ronald Sweeny was born on 06 Jan 1939 in Wilmington, Delaware. Katherine May Sweeny-4 (William Blizzard-3, Charles Roe-2, William-1) was born on 30 Jun 1897 in Eddystone, PA. She died on 16 Jan 1976. Paul Emmons Beecher was born on 02 Sep 1899 in Wilmington, Delaware. Pauline Beecher was born on 24 Mar in Wilmington, Delaware. He died in Aug 1918. Ester Beecher was born on 21 Mar 1919 in Wilmington, Delaware. Margaret Fisher Sweeny-4 (William Blizzard-3, Charles Roe-2, William-1) was born on 22 Mar 1898 in Crum Lynne, Pennsylvania. She died on 17 Sep 1992. George H. Whisler was born on 28 Aug 1894 in Colorado. He died in Mar 1973. John Franklin Sweeny-4 (William Blizzard-3, Charles Roe-2, William-1) was born on 15 Nov 1893 in Eddystone, Delaware, Pennsylvania. He died on 07 Jan 1979. Lola Chambers daughter of Abraham Lincoln Chambers and Clara Blest was born on 10 May 1897. She died on 29 Apr 1973. John Franklin Sweeny was born on 17 Jun 1916. Granville Eastburn Sweeny was born on 01 Nov 1917 in Wilmington, Delaware. He died on 11 Oct 1999 in Delaware. Thomas Burton Sweeny was born on 27 Dec 1918 in Wilmington, Delaware. Samuel Roe Sweeny-4 (William Blizzard-3, Charles Roe-2, William-1) was born on 02 Apr 1908 in Wilmington, Delaware. He died on 19 Jun 1978. Margaret Eves daughter of Alberta A Eves and Sarah Ingram was born on 10 Jan 1912. Samuel Roe Sweeny was born on 09 Aug 1932 in New London, Chester, Pennsylvania. Robert Henry Sweeny-4 (William Blizzard-3, Charles Roe-2, William-1) was born on 08 Feb 1901 in Paulsboro, New Jersey. Estella May Davis daughter of Harry L. Davis and Jennie Wietrich was born on 25 Oct 1899 in Wilmington, Delaware. Mildred Beatric Sweeny was born on 01 Jan 1922 in Wilmington, Delaware. Robert Henry Sweeny was born on 01 Sep 1919 in Wilmington, Delaware. Charles Roe Sweeny III-4 (Charles Roe-3, Charles Roe-2, William-1)[36, 37] was born on 27 Aug 1892 in Chester, Pennsylvania[36, 37]. He died on 08 Apr 1944 in Philadelphia, Pennsylvania. Ella May Bouchelle daughter of Benjamin B. Bouchelle and Ella C. Cleaver was born on 22 Oct 1895 in Crum Lynne, Pennsylvania. She died on 11 May 1978 in Sharon Hill, Pennsylvania. Charles Roe Sweeny IV was born on 21 Oct 1918 in Chester, Pennsylvania. He died on 29 Jun 2009 in Hudson, Florida. William Burns Sweeny was born on 18 Jun 1921 in Upland, Pennsylvania. He died on 10 Mar 1999 in Ridley Park, Pennsylvania. Leonard Joseph Sweeney-4 (Harry-3, Harry-2, William-1) was born on 15 Jan 1926 in Philadelphia, Pennsylvania. He died on 08 Oct 2008 in Morton, Delaware, Pennsylvania. Mildred Sarah Barnes was born in 1926. She died in 2008. .Year: 1880; Census Place: Chester, Delaware, Pennsylvania; Roll: 1126; Family History Film: 1255126; Page: 365C; Enumeration District: 19; Image: 0339. Ancestry.com. Pennsylvania 1910 Miracode Index [database on-line]. Provo, UT, USA: Ancestry.com Operations Inc, 2000. Original data: Pennsylvania Miracode. Washington, D.C.: National Archives and Records Administration.